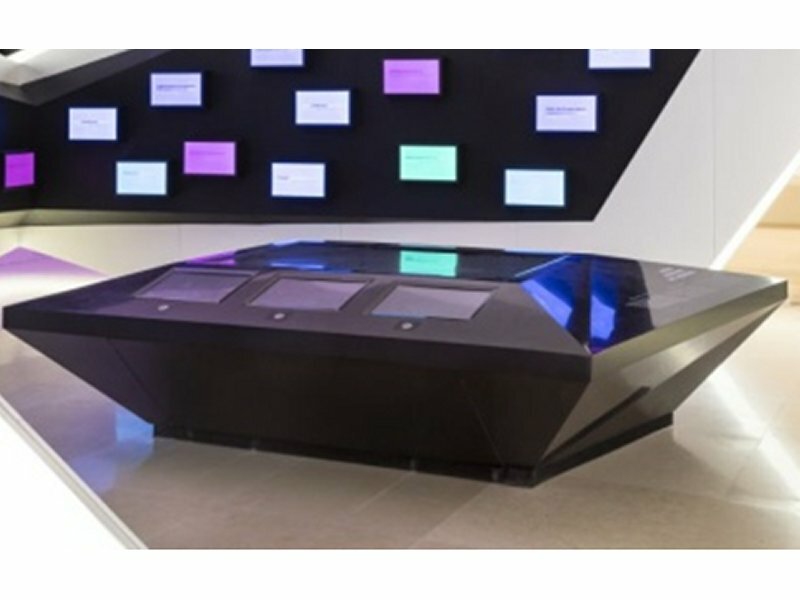 Museu do Amanhã, Rio de Janeiro, Brasil: the Cosmos installation and the Cosmic Horizons interactive tables, all made with DuPont™ Corian™ in Nocturne colour; photos Andres Otero, all rights reserved. Museu do Amanhã, Rio de Janeiro, Brasil: the Tomorrow Tables, made with DuPont™ Corian® in Nocturne colour; photo Andres Otero, all rights reserved. Museu do Amanhã, Rio de Janeiro, Brasil:the Churinga base, Made with DuPont™ Corian® in Rice paper colour; photo Andres Otero, all rights reserved. Museu do Amanhã, Rio de Janeiro, Brasil:service counters, made with DuPont™ Corian®; photo Andres Otero, all rights reserved. 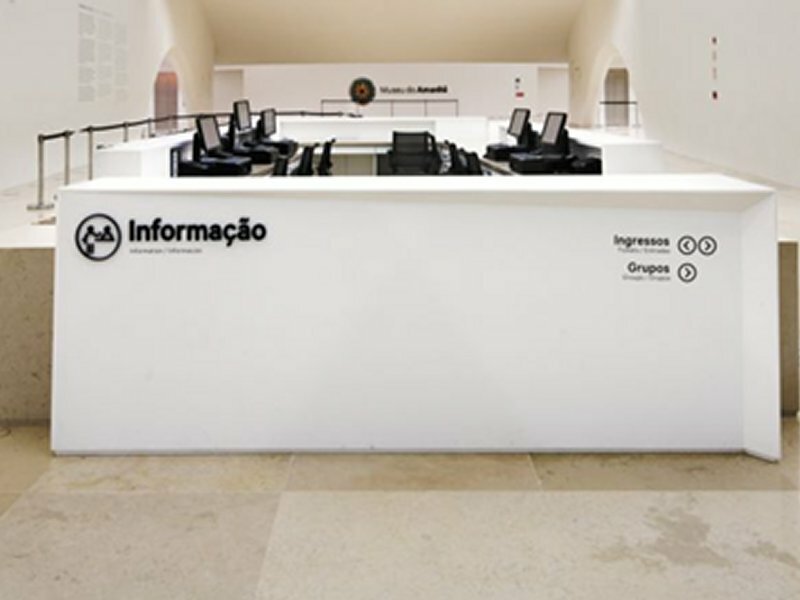 DuPont™ Corian® advanced surface has been used to create the dramatic backdrop and furniture for the permanent collection of the newly opened Museu do Amanhã in Rio de Janeiro. The museum is part of the revitalisation of the city’s docklands, a city hall initiative. 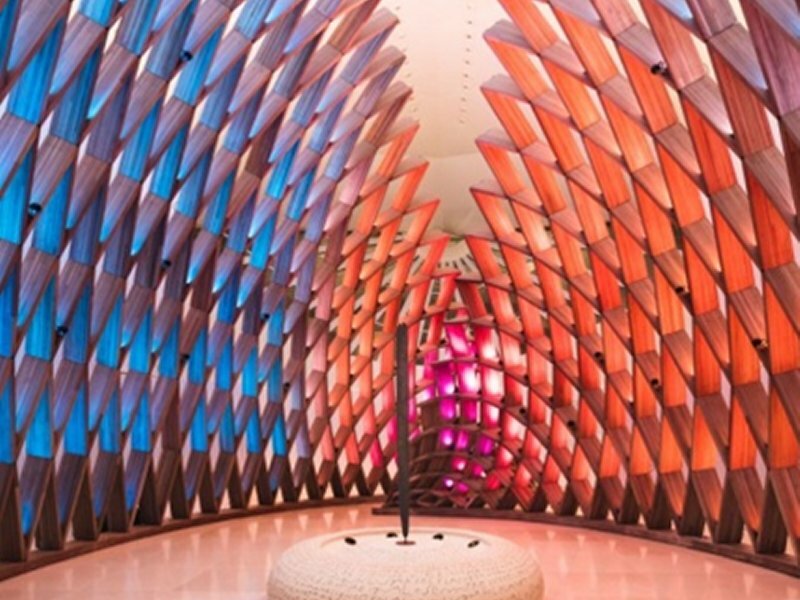 Unique design and cutting-edge technology have transformed Corian® into a collection of highly innovative creations. The pieces are designed with tomorrow in mind and represent man's role as an agent for changing the future. 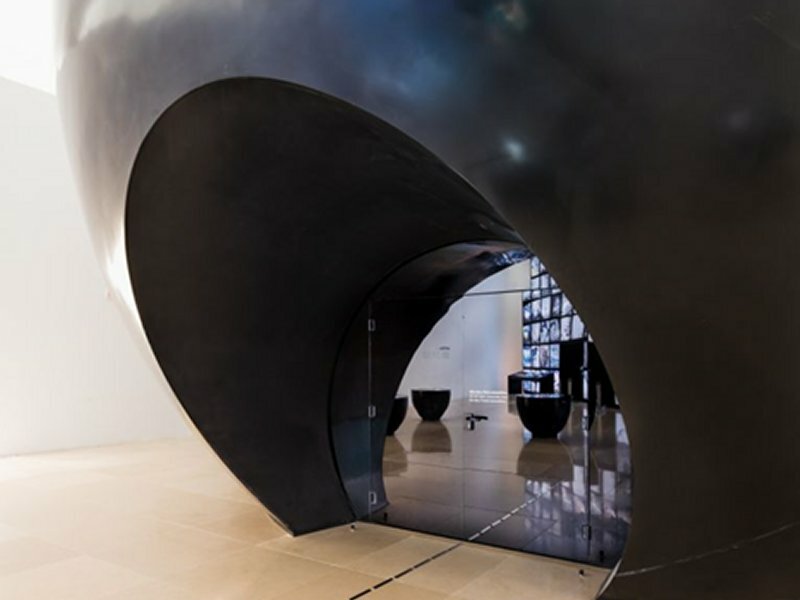 Cosmos - a black 'egg' measuring 20m long, 14m wide and 11m high - is made in DuPont™ Corian® in the Nocturne colour. It is a large elliptical-shaped structure in which each piece has been formed, including the entry and exit tunnels. The piece features huge monolithic areas inside which provide visitors with their first immersive experience on entering the museum. 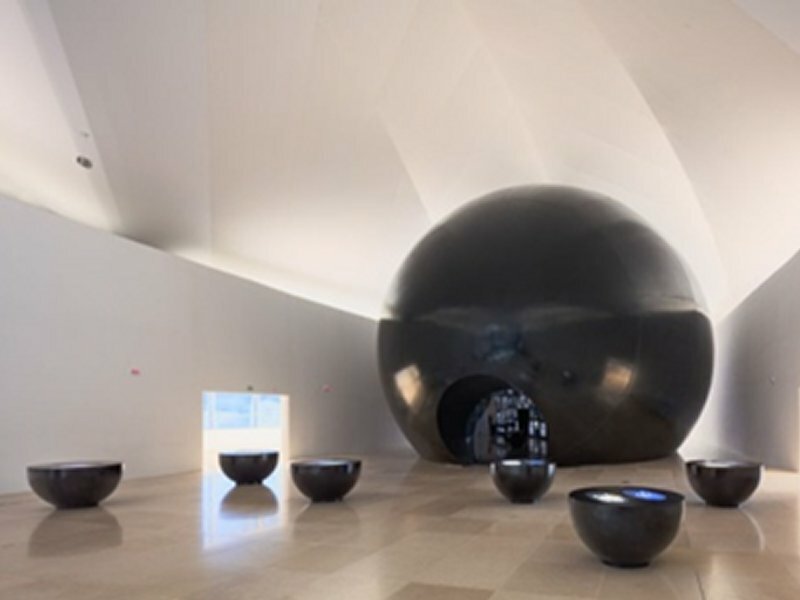 With space for 200 people, 'Cosmos' enables visitors to experience a sensory journey through the universe, based on a virtual tour in a 360 degree dome. They can travel through galaxies, dive into the subatomic world of elementary particles, enter the Sun's heart, and observe how the Earth was formed and life began. 'Tomorrow's Tables' have been fabricated in a similar way. The three geometrically-shape tables each have different dimensions (400 x 200cm, 300 x 220cm and 330 x 200cm, all 95 cm high). They are the focus of the 'tomorrow' theme which unfolds in an 'origami' shaped area of the Museum. Fabricated completely in DuPont™ Corian®, the 'Tomorrow's Tables' have a metal frame designed to support each element of Corian® and the multiple monitors. These monitors alternate between showing a series of trends and scenarios, and interactive activities that place the visitor as an agent for constructing the future of our world. Achieving this fully customised design was possible thanks to the high tech abilities of Corian®, which offers imperceptible seams, appearing to be a single and continuous piece. With Corian®, it is possible to create designs with real personality: the product is easily adaptable to virtually any format or location, providing complete creative freedom. Located in the 'We' space in the Museum, 'Churinga' invites visitors to reflect on what we will leave for future generations. An Australian aborigine's artifact, the piece is more than an object: it is an endless 'tool' that links the past to the future by tying previous generations' knowledge and legacy to future generations. The Churinga base has a flattened circular design with different radii and angles, and measures 240cm in diameter and 55cm high. It was fabricated in DuPont™ Corian® (Rice Paper colour, available in Brasil) and then treated by artist Mana Bernardes with raw clay painting and handwriting to create a more rustic effect. In addition, floodlights have been embedded which illuminate the 'Oca', with the lighting equipment concealed within the design. Museu do Amanhã, Rio de Janeiro, Brasil: logo and service counters, made with DuPont™ Corian®; photos Andres Otero, all rights reserved. The service counters, which feature geometric shapes are also made in DuPont™ Corian® (Glacier White colour): they take charge of the Museum's visual communications. More than 400 letters and identification icons have been produced in Corian®. One of the highlights is the main logo, inspired by a 'sticks' game, which is composed of more than 300 pieces of Corian® in Glacier White tone, decorated with eleven different colours of automotive paint. About DuPont™ Corian® (www.corian.co.uk) - First created as a high performance material for kitchen and bathroom worktops, DuPont™ Corian® is now - thanks to its unique combination of functionality, versatility and beauty - a leading global brand in surfacing materials for interior design and architecture. Over the years, DuPont has established DuPont™ Corian® solid surface as an exceptional design tool for every application one can imagine. Kitchens, bathrooms, lighting, furnishing, facades, seating, radiators, home automation, touch control surfaces: today, DuPont™ Corian® can be found almost everywhere in Commercial, Residential and Public Space applications.